Offering personalised pet travel internationally, interstate and locally because every pet deserves APAT! 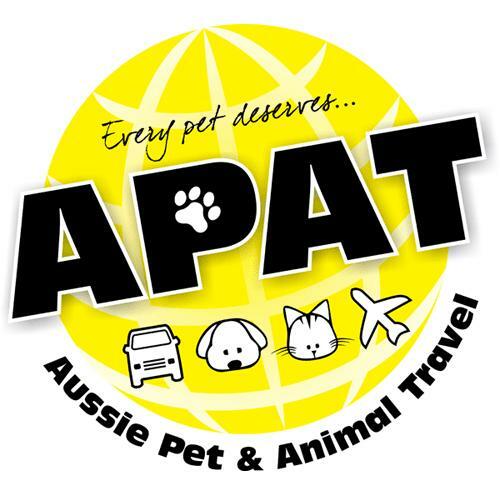 APAT (Aussie Pet & Animal Travel) a family owned and operated business whose focus is on the delivery of personalised pet travel services and who truly believes that ‘every pet deserves APAT!’ We are a business located in Brisbane but have a network of like-minded businesses throughout Australia and the world. Owners Greg and Rachael have experienced the love of being pet owners all their lives, Rachael has an affinity with small and large dogs as well as horses, spending many of her early years on farms grooming horses and competing in various forms of equine disciplines. Greg has been a pet owner since a child and has recently been involved in the pet travel industry for the last 8 years. During this 8 years Greg has been able to travel the world meeting pet transporters, industry officials and government authorities with each experience leading toward the goal of being a business owner and working with all sorts of animals and their carer’s. APAT is a business that allows you piece of mind and that your pets travel arrangements will be taken care of with the utmost care. We look forward to assisting with these very important relocations!